The De la Cruz Collection Contemporary Art Space contains works from the personal collection of Carlos and Rosa de la Cruz and covers 30,000 square feet with art. Before moving to this site in 2009, the original space was an extension of the couple’s home of 25 years and focused on international contemporary art. The art space includes various rooms with rotating exhibits, including one dedicated to showcasing local Miami artists’ works. Look for lectures designed to increase public awareness of art history and modern-day art practices. To help further promote the local art scene, Miami creative often submit proposals for site-specific installations, and classes and workshops designed with local schools take place as well. The De la Cruz family has also developed internship opportunities and a scholarship program for high school and college students. The De la Cruz Collection Contemporary Art Space is privately owned and funded by Carlos and Rosa de la Cruz. The De la Cruz Collection is located at 23 NE 41 Street in Miami’s Design District. The museum is open Tuesday through Saturday from 10am until 4pm and its collection, programs, lectures and library are all free of charge to the public. Explore Miami’s burgeoning arts scene on this guided, half-day tour. 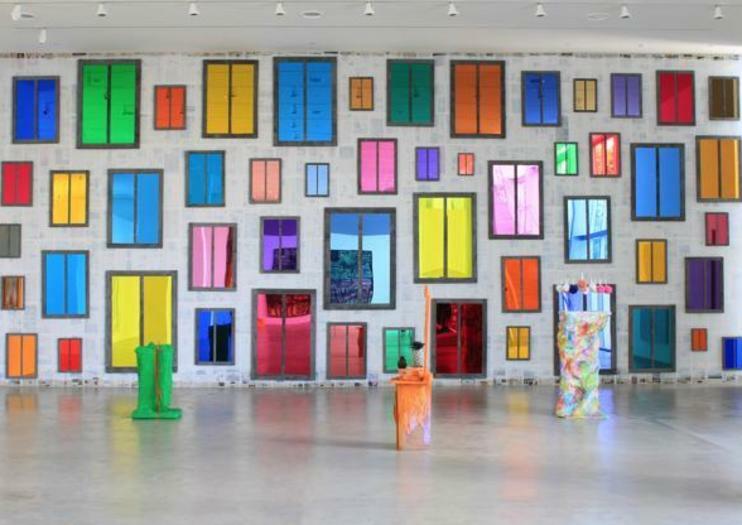 Visit Midtown Miami, the Miami Design District and the Wynwood Art District, stopping at several major galleries and museums to peruse the collections of modern and contemporary art. See everything from photography and sculpture to graffiti and street art. Learn about Miami’s arts culture and history from an expert art curator guide, then enjoy a 3-course gourmet lunch or dinner at a local celebrity chef restaurant.